Images show a bit of the research phase and a possible (mild) refit direction. Like it was taken yesterday....an evenly lid (semi finished?) 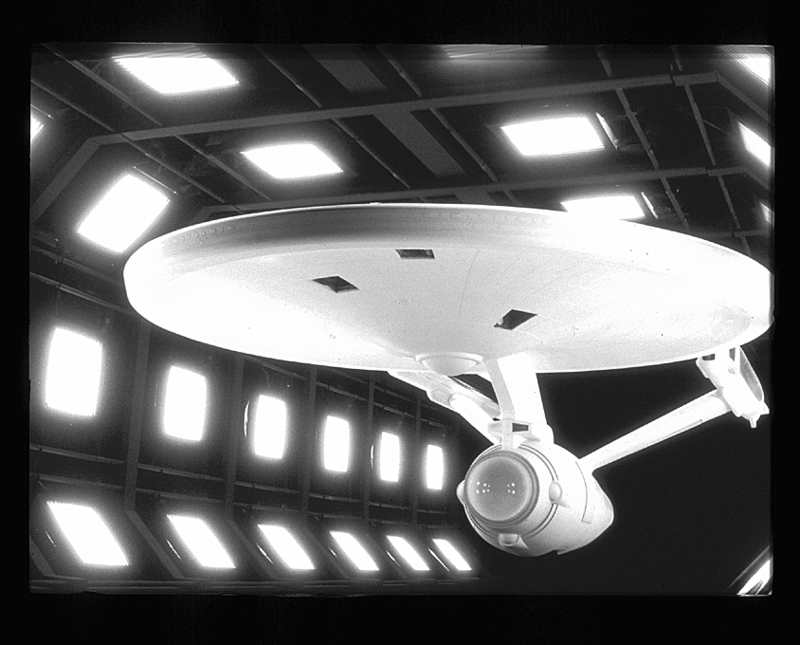 Enterprise in spacedock for TMP during lighting tests. Photo courtesy of Andrew Probert.